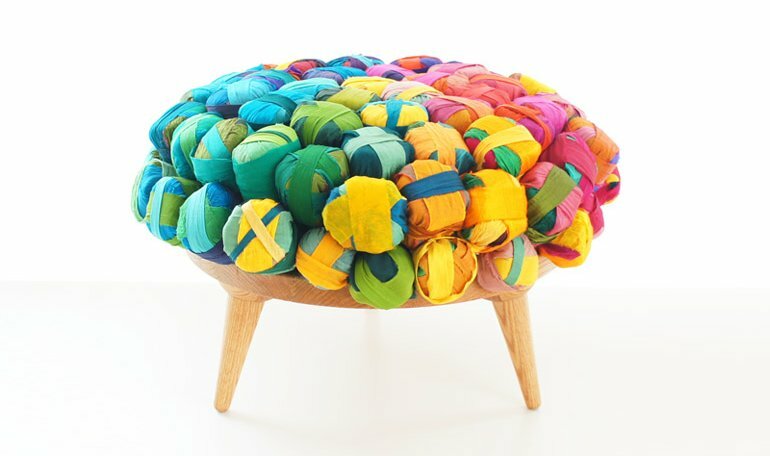 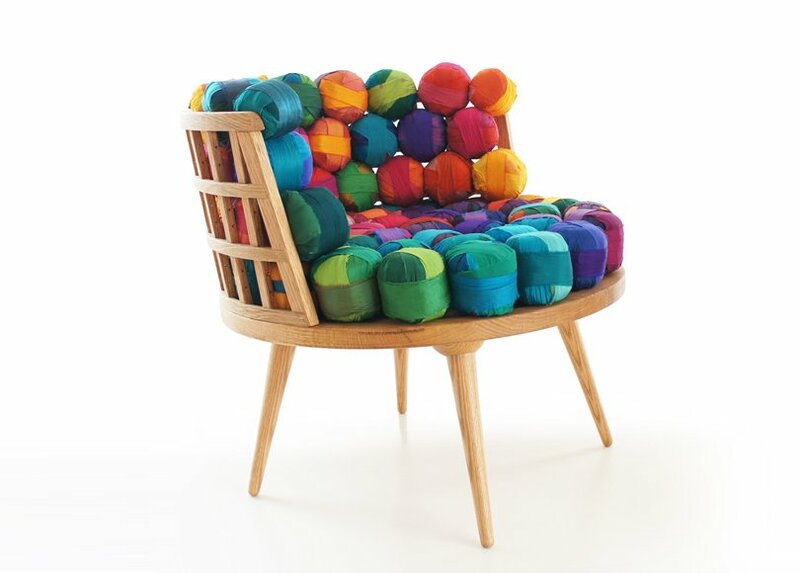 This recycled silk chair, ottoman and stool was created by the Istanbul-based designer Meb Rure. 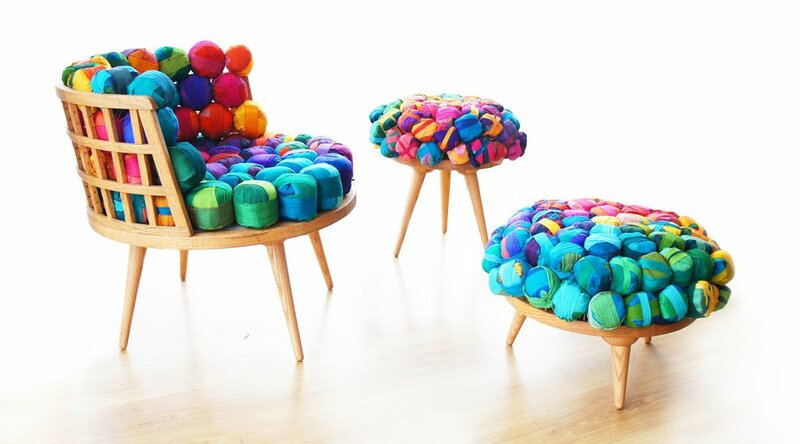 The pieces are made from American white oak and recycled silk yarns from Nepal. 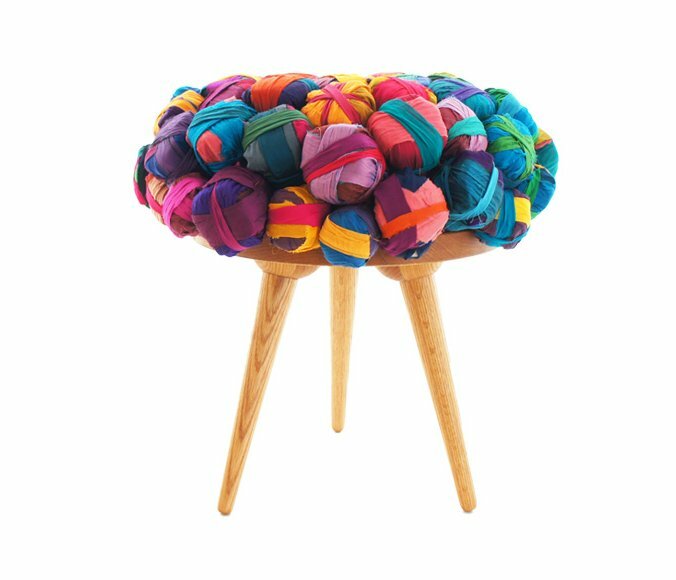 “Fabric waste into the end material… This ecological furniture family consist of chair, ottoman and stool which are made of American white oak and recycled silk yarns from Nepal.